Find out about the famous Post-Impressionist painter Paul Cezanne. books and articles about his artwork and his life and other resources for improving your knowledge of Cezanne, his unique approach to painting and his views on art (and society). Paul Cezanne is considered by many to be the most influential painter of the late 19th century. Cezanne is a prominent Post-Impressionist painter. He responded to the limitations of Impressionism and created a new artistic vocabulary which synthesized reality and abstraction. 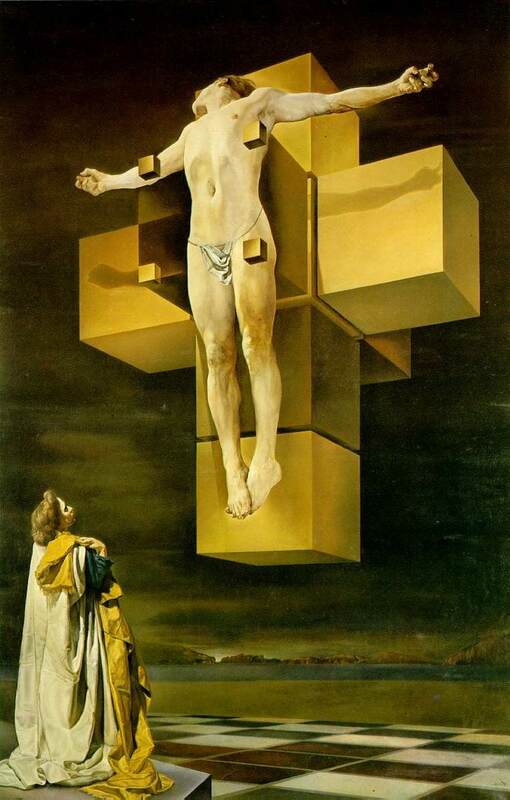 This in turn became a critical influence on early Modernism. Pablo Picasso readily admitted his great debt to the elder master. WHAT WAS DIFFERENT ABOUT THE WAY CEZANNE PAINTED? He identified form using those which he considered to be those most frequently found in nature - the 'cylinder, sphere and the cone'. WHAT SUBJECTS DID HE PAINT? Cezanne almost single-handedly revived the still life as a legitimate subject for modern painting. 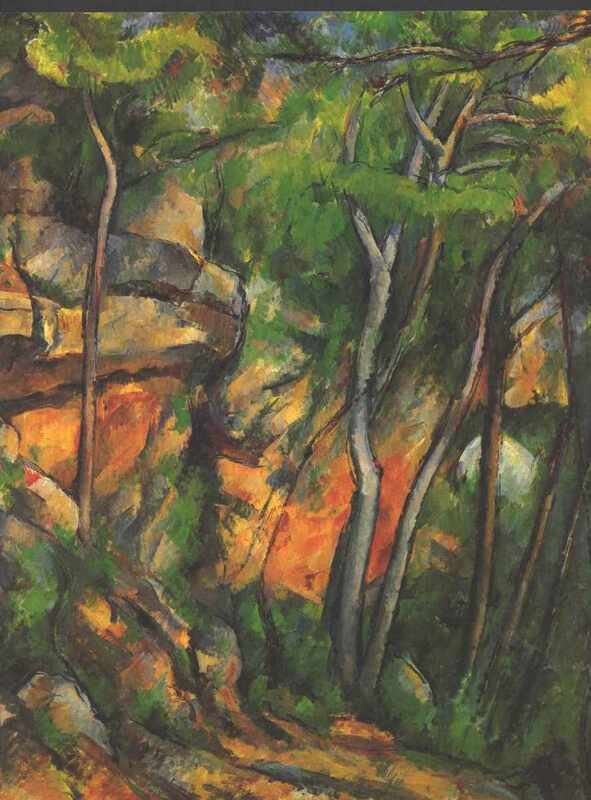 Cezanne did not travel much and is very much associated with the landscapes of Provence. 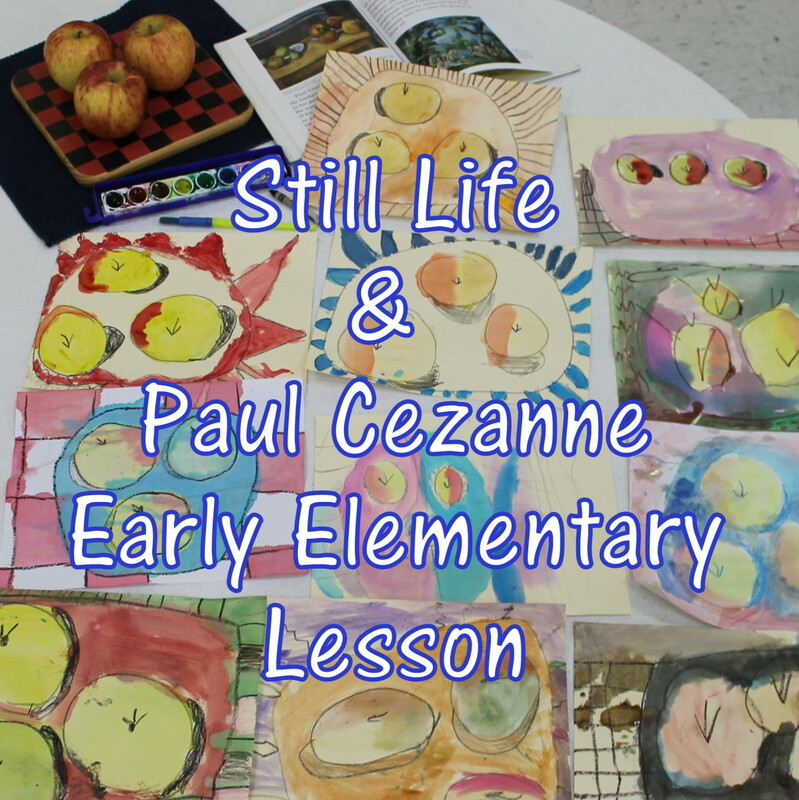 Learn about the life of Paul Cezanne at Biography.com. Read Biographies, watch interviews and videos. Find out where exactly Cezanne painted when he was in ProvenceCzanne gained inspiration from the Aix-en-Provence. He said the area "conceals treasures which have not yet found the artist capable of expressing the riches to be discovered here".These are the places associated with CezanneJas de Bouffan - 17 Route de Galice Aix-en-ProvenceJas de Bouffan is the 17th-century country house his father, Louis-Auguste Cezanne, bought on 15 September 1859. They moved in around 1870. Between 1881 and 1885, the roof of the house had to be replaced and he made a little studio in the attic for his son Paul. After the death of his father in 1886, Czanne set up his studio in the large room on the ground floor. On 18 September 1899, two years after the death of Mrs Cezanne, Cezanne and his two sisters sold Jas de Bouffan. 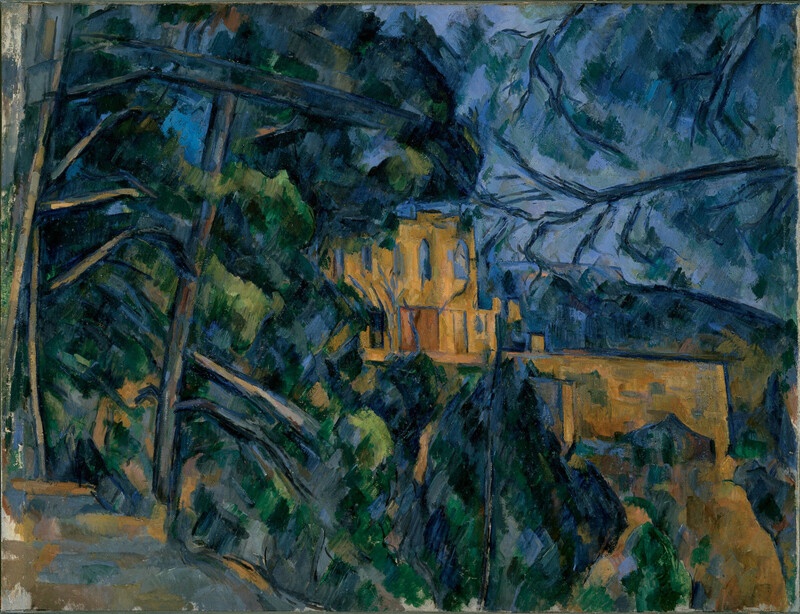 In November 1901, Cezanne bought a small country property on the Lauves hillside which was surrounded by agricultural land, olive and fig trees and bordered by the Verdon canal. 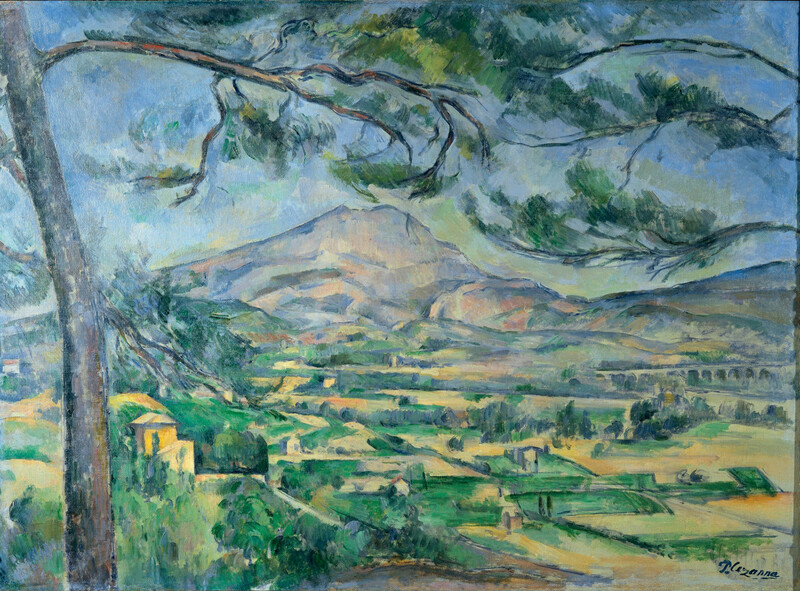 The Atelier des Lauves, a two-story structure that still exists, gave Cezanne the privacy he craved while placing him closer to favorite motifs such as the Montagne Sainte-Victoire. This was Cezanne's last studio. 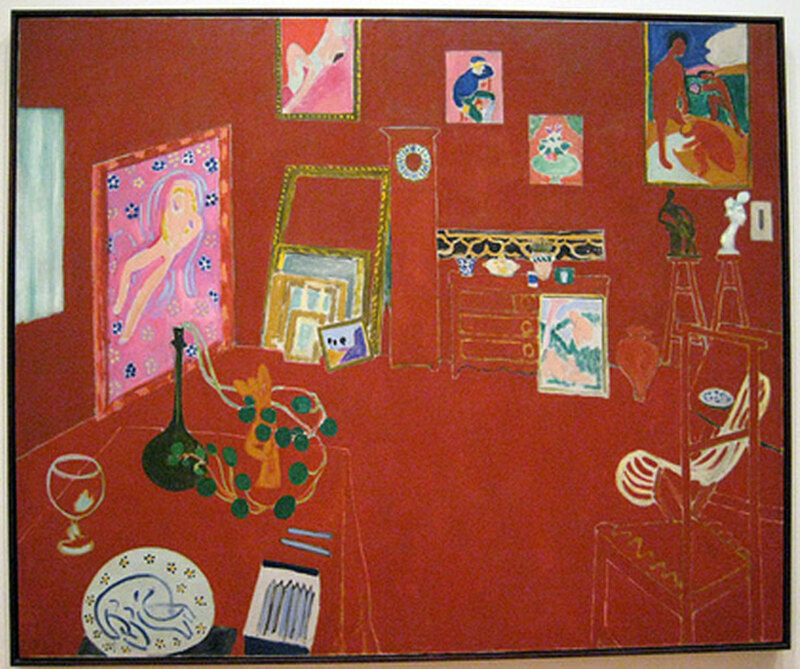 I've visited the studio and it contains objects seen in his still life paintings done in later life. But for the dust, you'd be persuaded that he's just stepped out to paint plein air! "Mont Sainte-Victoire" (1887) by Paul Czanne [Public domain], via Wikimedia CommonsThe Sainte-Victoire mountainThis provided a constant source of fascination to the artist. He painted the 1,000 metre mountain for the first time in 1870, and then again in 1885-86. Jas de Bouffan - For the banker's son, the country house bought by his father in 1859 was not only a home, an anchor, and a studio whose walls received his first works, but also a source of permanent inspiration until 1899. From 1887 onwards, Cezanne rented a small room in the pistachio tree courtyard.He invited me for an outing to Chateau Noir... One sunny afternoon, he came to pick us up in a car that he rented by the year so that, if he was tired, he could get to his subject or to his studio outside the town. We all left in high spirits, and followed a road which became more and morelovely. Atlastwesawsomepinewoods,andhemademegetout to have a better look at the place, which we explored together. Despite his age, he was extremely agile and was able to clamber across the rocks"(Emile Bernard). 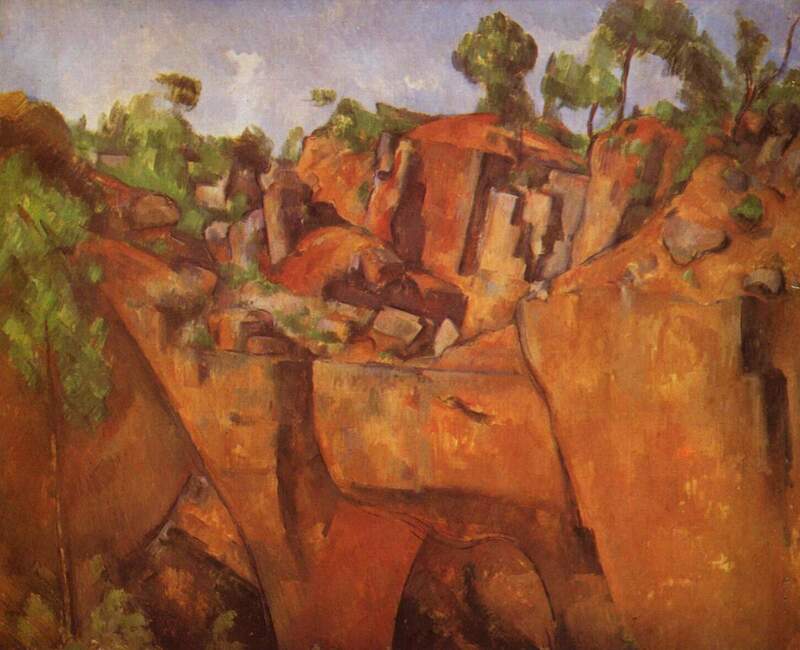 Cezanne chose the highest viewpoint of the mountain when he set his easel near Chemin de Marguerite. Between 1902 and 1906, he often returned to complete 11 oils on canvas and 17 watercolours which today residen in the great museums of the world or prestigious private collectionsThe city of Aix-en-Provence has created the painters' ground (terrain des peintres) within the Marguerite Estate. Opposite the mountain which, from this angle, becomes a figurehead, ten panels depict the main views of Mont Sainte-Victoire as painted by Cezanne from Chemin de la Marguerite.Features of the Provencal landscape which are evident in the paintings - and can still be seen to day - include wheat fields, road to the Alps, red roofs of houses and the power plant.In February 1904, Emile Bernard accompanied Cezanne to paint his famous motif"It was two kilometres from the studio, facing a valley, at the foot of Sainte-Victoire, that bold mountain that he never stopped painting in watercolour and oil, and which filled him with admiration. The city of Aix-en- Provence and Aix Regional Community organized a series of highlights in 2006 - on the occasion of the centenary of the death of Paul Czanne (1839 - 1906). 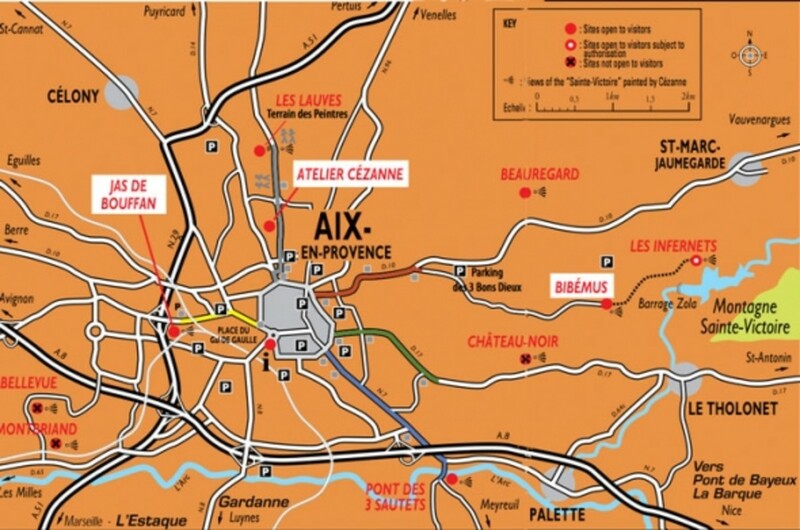 Informations for your next stay in Aix en Provence : tourism, city map, gastronomy and shopping, provence, hotel, culture and history, city tours, excursions. Czanne painted watercolor still lifes throughout his career.At the end of his career, between 1902 and 1906, he made his largest, most complicated watercolor still lifes in his final studio at Les Lauves, near his native Aix-en-Provence. Today the studio is open as a museum and preserves a number of the objects that he painted in his still lifes. This Getty exhibition highlights the intersection between the genre of still life and the medium of watercolor in the oeuvre of Paul Cézanne. Czanne's WatercolorsThe Path to Cubism:Czanne's Geometricization in His Forest WatercolorsNorris Novak, Princeton Class of 2008He started with the graphite pencil, etching the image and the textures. 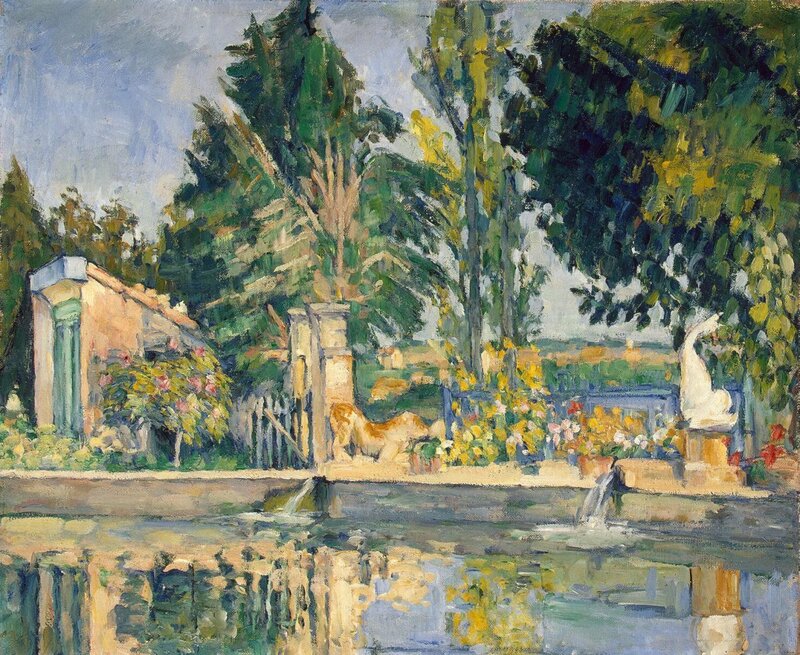 These online sites provide an accessible overview of Cezanne's paintings for those who want to learn more about his art.I very much recommend The Athenaeum as a resource for learning. 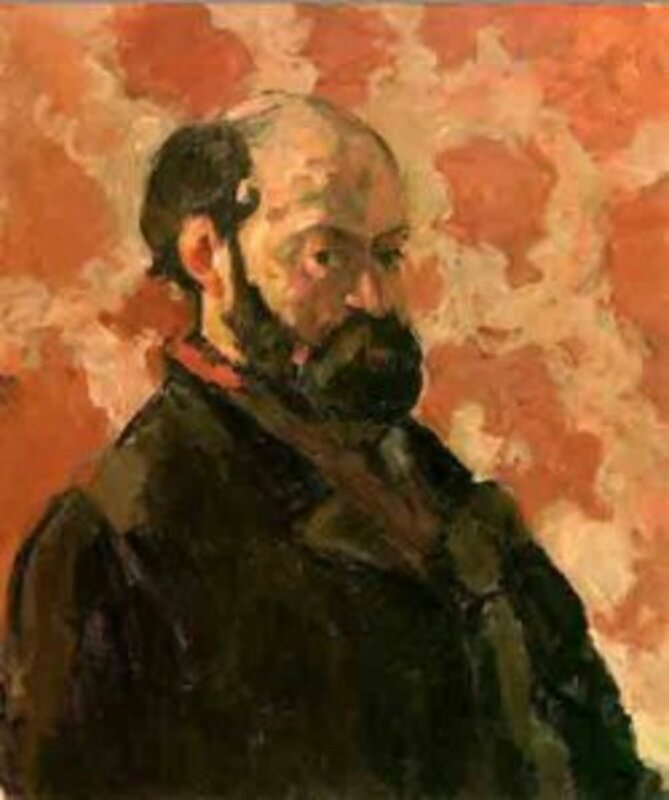 Paul Cezanne [French Post-Impressionist Painter, 1839-1906] Guide to pictures of works by Paul Cezanne in art museum sites and image archives worldwide. 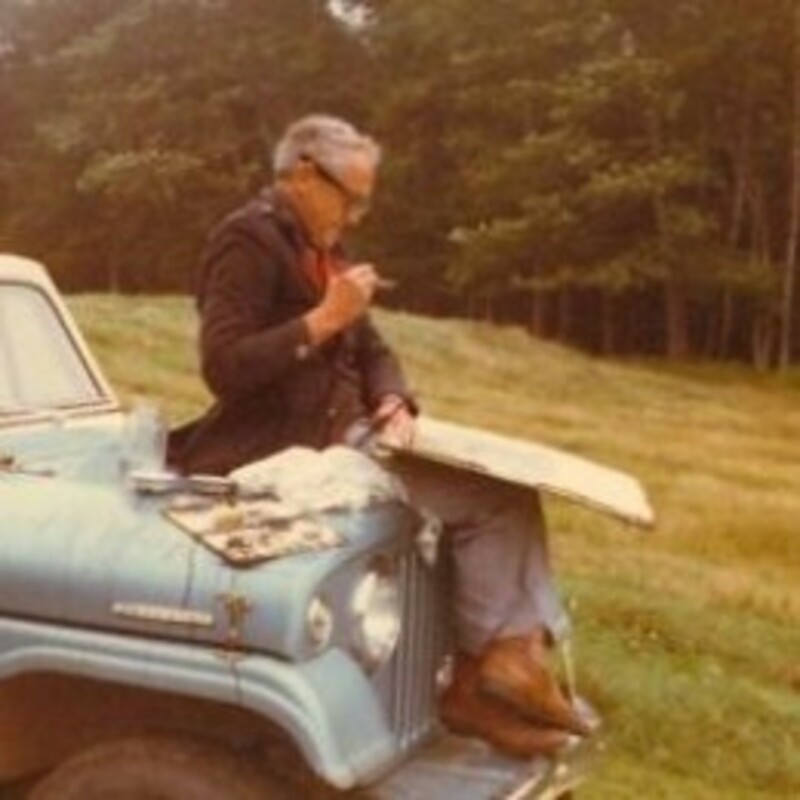 Explore information about the artist: Paul Czanne. 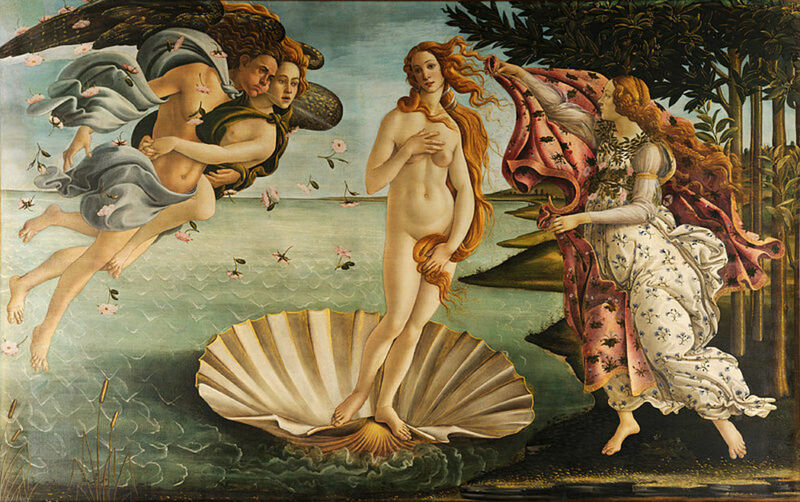 See list of paintings at the National Gallery, London. The National Gallery marks the centenary of Cezanne's death with 'Cezanne in Britain', a retrospective focusing entirely on his works held in British collections. This Getty exhibition highlights the intersection between the genre of still life and the medium of watercolor in the oeuvre of Paul Cezanne. Courtauld Gallery holds the finest group of works by Paul Cézanne (1839-1906) in Britain. As the culmination of The Courtauld Institute of Art’s 75th anniversary, the Gallery is showing the entire collection together for the first time. To mark the Courtauld Gallery's 75th anniversary their entire collection of Czannes - the largest in the UK - is to go on display. Comments and Suggestions - Let me know what you think - but please do not spam! Paul Cezaane is one of my favorites, good Lens and information; thanks for sharing. I've seen his work in museums which are spectacular. Wonderful lens. I will now go and check out your blog! Remarkable Lens!! I know the name Cezanne but little about his art and life's work. 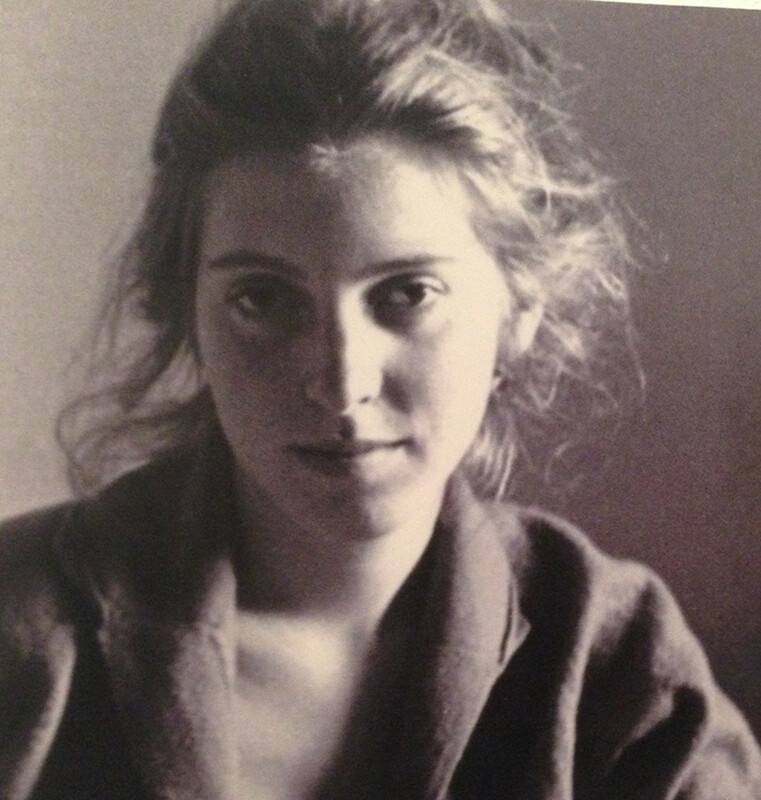 I will favor and return to learn more about this interesting artist. Thanks for sharing! What a superbly done lens!I enjoyed reading more about Cezanne in a easy style. To the person who asked me to add a link into an art website. I only add links to sites which have identifiable owners. This one did not. 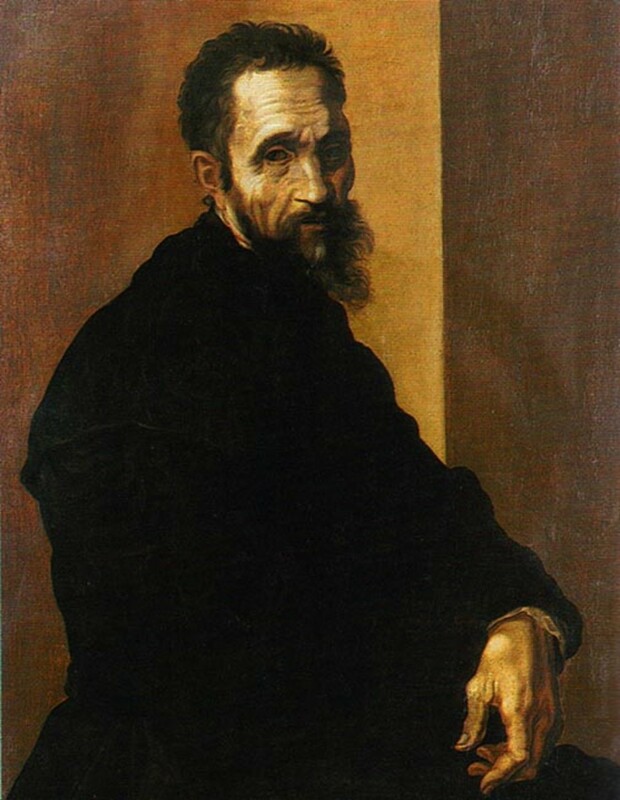 Several years ago I bought a CD-ROM from Corbis entitled, PAUL CEZANNE: Portrait of my world. Unfortunately, I checked the Corbis website and didn't see this particular CD listed. (However, there are other fine art listings but I don't know if they are available in CD form either. 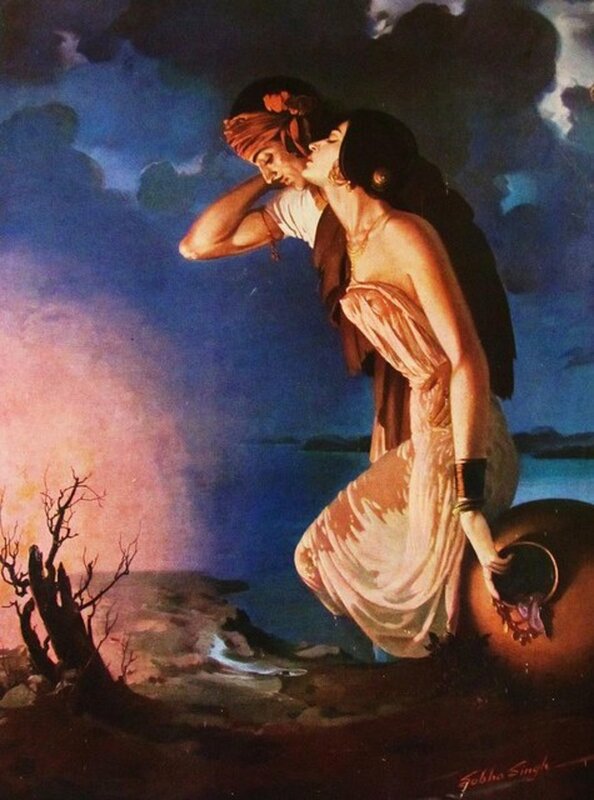 )The CD-ROM is well worth the effort to locate a copy...many, many paintings, bio, etc. Thanks Aimee - you may well find videos by me of Cezanne's work when you come back!I start these lenses to learn about an artist - so they tend to start impersonal and become more personal as I get to know the artist better and find out more about them. One of the things that i do like about Cezanne is the way he 'hatched' with a brush - I hatch all the times with my pencil and I keep looking out for people who also work with a brush in the same way.